One reason why healthcare needs to stay affordable and available for everyone in this country. 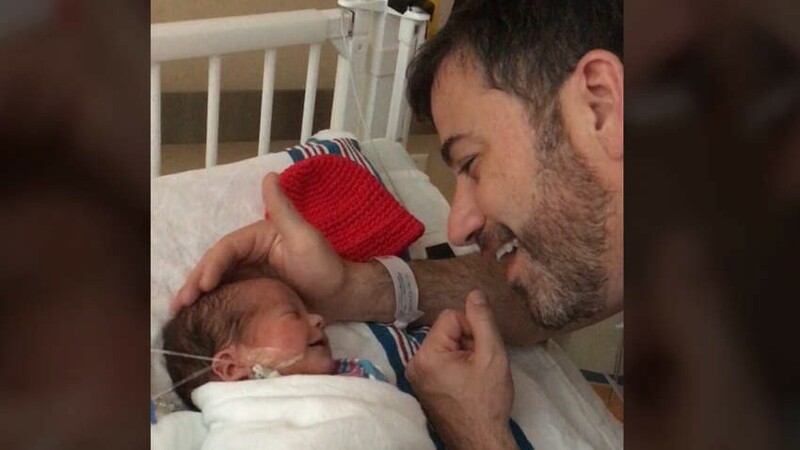 I was watching Jimmy Kimmel’s monologue where he vividly described his newborn son’s health crisis and I cried, probably along with many others that were touched by his story. The line that he said which hit me hard was “If your baby is going to die and it doesn’t have to, it shouldn’t matter how much money you make.” That one sentence brought me right back to my own health crisis that occurred five years ago, and the conversation between my doctor and I that changed my life forever. I was 19 weeks into my first pregnancy with boy/girl twins and so far everything was going well. I went in for a routine ultrasound and unfortunately my doctor discovered that something was very wrong. I was quickly diagnosed with an incompetent cervix and told that I was in labor, even though I did not have any obvious warning signs or contractions that I could feel. Basically, my cervix was open and my water was bound to break within the next day or so if no medical intervention was taken. Because the twins were only 19 weeks along, they would not survive if they were born this prematurely. 1. Go immediately to the hospital, have emergency surgery to stitch my cervix closed, and stay on strict hospital bed rest for the next four months or however long I could last. 2. Let nature take its course and give birth to stillborn babies in the next couple of days. 3. Have an abortion immediately and end the pregnancy on my terms. For most soon-to-be parents, there really isn’t any doubt that the first option would be the only one to consider because every mother and father has a deep instinct to protect their children, no matter what it takes. I quickly answered that I wanted the first option and before I knew it, my husband was rushing me to the hospital across town. During the drive, I couldn’t help but wonder why I would even be given those last two options. Why would anyone choose to not fight like hell to save their baby if given the chance? Thankfully, after a very difficult 122 days of hospital bed rest, I successfully delivered full term twins. They were both born healthy and required no time in the NICU. It wasn’t until about a month after their birth that I realized why the last two options were even offered in the first place…I got the itemized hospital bill and I nearly fainted. One million dollars. That was the cost to save the lives of my twins. Thankfully I was fully insured so the amount of money I spent for my out-of-pocket maximum was just over four thousand dollars. A drop in the bucket compared to what my bill would have been if I had absolutely no insurance. All of a sudden, it made sense why my doctor had to mention options two and three. It was 2011 after all and there was no Affordable Care Act at that point. It all came down to money and I chose the expensive option because I was fortunate to have the luxury to do so. If the babies were to make it to viability but were born prematurely, they could have been staying in the NICU for several months with around-the-clock care. Most likely that option would have yielded an even higher hospital bill than what I received for my entire four-month bed rest stay. As Jimmy Kimmel said, “No parent should ever have to decide if they can afford to save their child’s life.” Before the Affordable Care Act, parents without adequate insurance that were in the same situation as myself were forced to make this choice. Imagine if you had to choose the option of no medical intervention for your child. Doing this only to avoid an extreme financial burden because of a medical condition that was out of anyone’s control. It breaks my heart to think about families that had to make those incredibly hard decisions and start again with a new pregnancy that hopefully was complication free and medically less expensive. I applaud Jimmy Kimmel for bringing this important healthcare conversation back into the spotlight because there should only be one option that doctors give to their patients. The option to do everything in their power to save a life and not have to worry about who is going to pay the bill.